In most situations flasher rigs will totally out fish bait! When targeting most New Zealand sea fish I have found flashers rigs, also called Sabiki rigs, to be at least as efficient as conventionally bait hooks. 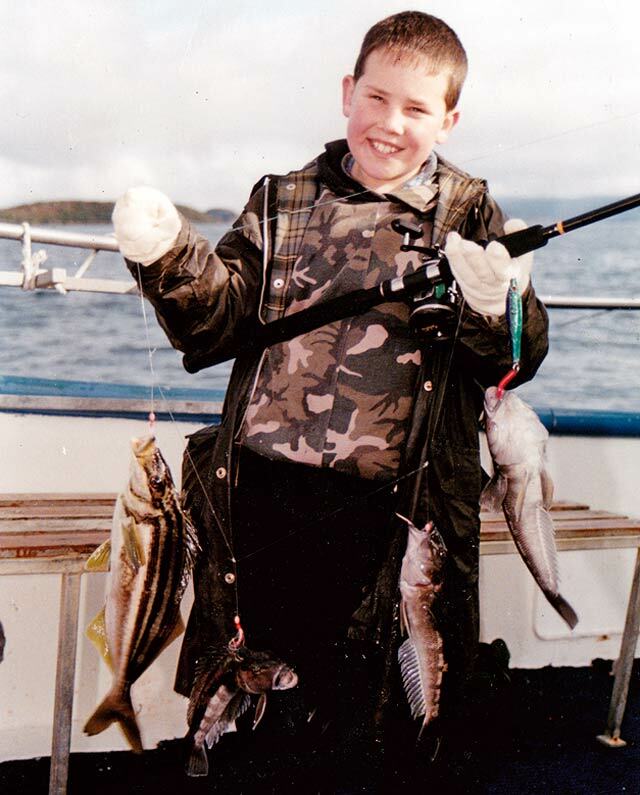 I have caught trumpeter, moki, red cod, blue cod, mullet, dogfish, sea perch, wrasse, barracouta, mackerel, kahawai, and tarakihi on flashers, and I’m sure that many others would take them also. This item of fishing tackle, perhaps more than any other, has completely changed the way most recreational anglers now fish at sea. So why use flasher rigs instead of bait? Firstly, flasher rigs are obviously easier to store and transport than bait. There is therefore no need for refrigeration, no smell, and no mess. Secondly, flasher rigs are much quicker to use. This is an important consideration in a rocking boat at sea. Bending down to bait your fish hooks increases the likelihood of seasickness. It also takes longer to cut the baits to size, and thread them on your hooks. If you get a bust-off when fishing a flasher rig it takes only seconds to get out another, tie it on, and lower it over the side. A simple flasher: no bait, no smell and no mess! There is also no worry about winding in to find that small fish have stolen your bait. Finally, flasher rigs, perhaps surprisingly, seem to be more efficient at catching fish than bait alone. The sudden jerky movement of the flasher through the water is a strong visual attraction to most species. Fish are naturally familiar with the idea of having to chase a meal, catch it, and then eat it. They do this every day in order to survive. 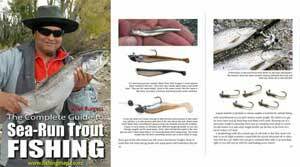 Most trout anglers will know that the action imparted to the fly as it is drawn through the water is more important than the fly being an exact replica of something a trout might eat. The fly only needs to be a reasonable representation to trick the fish to strike. After all most baitfish won’t want to hang around when predators are present. It stands to reason that for most predators a strike is virtually a subconscious reflex action. The predator only has a split second to make a decision to bite before dinner swims away. Made-up flasher rigs are readily available in the fishing tackle stores, however many blokes, myself included, like to make their own. Making your own means that you can create designs to suit your particular needs or fancy. It is also great to have your mates envious of your unique flasher rig designs. There are two basic ways of tying these up: either with droppers created with a blood loop, or separate droppers attached to the main line with a spider hitch. The later makes it possible to use a lighter line weight for the droppers, while the blood loop method gives a more robust double line to the droppers. If making your droppers with the spider hitch the line will lie along the back bone so it is important to have them facing towards the surface so that they branch out as the rig is lifted by the rod. Finish your flasher rigs by tying a swivel at the top for connection to the line from your reel, and a loop at the bottom to which you can connect either a sinker or a jig. Overall length should be about 1.5 meters. You can buy “ready-to-fish” flasher rigs in store. Many anglers prefer to make their own special designs. When using flasher rigs it is important to fish the correct hook size for the target species. I like to use 5/0 hooks. These are fine for general bottom fishing. It really depends on the size of the fish you’re after. When fishing for yellow-eyed mullet you need to go for much smaller size 8 trout hooks. I’ve found that the easiest way is to dress your hooks is with the aid of a fly tying vice. With a bit of experience you can get a real speedy production line going. The general method is to create a base to the fly with something like white crimped nylon, feathers, or calf tail. Over this base tie on something with a bit of flash like Mylar, Flashabou, or Krystal Flash. As for colours I’ve found white and blue, white and red, and white and chartreuse (a yellow/green colour) to be very effective. A good tip is to add some fluorescent material that will glow in the dark to the finished fly. This can take the form of Aurora shirt strips, or be painted on to the head of the completed fly. You can also pass a lumo bead on to the mono just above the fly for a similar effect. I like to store my finished rigs in zip lock plastic bags ready to fish. Use a felt pen to write on the bag the size of the hooks and the thickness of mono. This makes it easier to find what you are looking for when the action hots up. The flasher rig is fished by lowering it to the bottom and then either jigging it up and down by raising and lowering the rod tip, or by winding it straight back to the surface and then dropping it back to the bottom again before repeating the process. For added effectiveness you can also add bait to the hooks. It is not unusual to catch a fish on every hook when fishing a flasher rig, as well as one on the jig. For this reason I prefer to make my flashers with only three hooks. If you have ever experienced the frustration of seeing half a dozen 5 hook flasher rigs all caught up together under the boat you’ll know why I prefer three hooks. Saving money is also another good reason to make your own rigs. When there is a big tangle with your ship mates’ lines, you just take up the slack line onto your reel, then cut it off, and tie on another allowing you to be fishing again in seconds while your mates are left sorting out the tangle – pretty sneaky! It isn’t unusual in productive fishing areas to catch a fish on every hook. Here the angler has taken a big blue cod on the bottom jig, plus two more cod (one of which my be foul hooked), and a trumpeter on the top hook, while fishing in Foveaux Strait, off Stewart Island.